Special Needs Must Be Addressed. Special Needs Require Special Settlement Planning. In most personal injury cases, the path to a settlement or verdict can be a very difficult process. Once resolution has been achieved, detailed planning is needed to protect the settlement proceeds. There are many complex planning issues to consider when a personal injury case settles to maximize the recovery. Medicaid, Medicare and ERISA liens have to be litigated or negotiated. Trusts often times have to be created. A Special Needs Trust or Medicare Set Aside trust might be necessary. Tax and estate planning may be necessary. All very difficult issues to deal with for even the most sophisticated lawyers and injury victims. Proper planning is critical to prevent the loss of the settlement monies while preserving public benefit eligibility and maximizing the recovery. That is the exclusive focus of our practice. 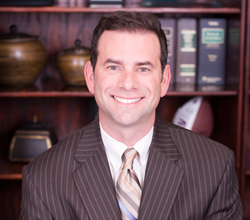 Mr. Lazarus is the founder and managing partner of Special Needs Law Firm; a Florida law firm that provides legal services related to public benefit preservation, Medicare Set Asides, lien resolution and qualified settlement funds. Jason received his B.A. from the University of Central Florida and his J.D. with high honors from Florida State University. He received his LL.M. degree in Elder Law from Stetson University College of Law. The Special Needs Law Firm is a boutique firm focused on two specialized areas of the law, Special Needs Settlement Planning and Lien Litigation. Special Needs Settlement Planning encompasses a variety of legal services related to the settlement of personal injury cases. Special Needs Settlement Planning is a unique niche practice focusing on the services a trial lawyer and injury victim may need at settlement of a complex case. We offer comprehensive ERISA and private health insurance lien resolution services for trial attorneys. This service can decrease a trial lawyer's overhead and increase cash flow for the firm.